A girl always grows up dreaming of her wedding day. 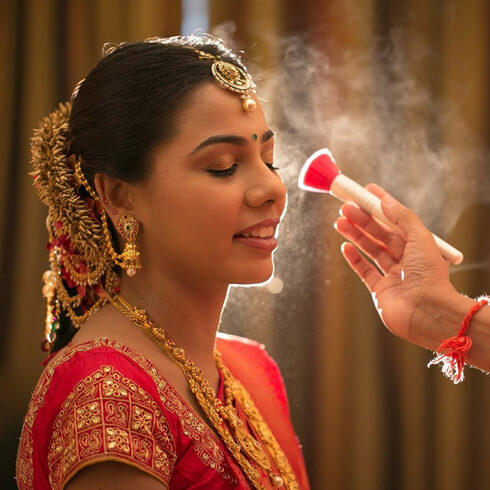 It’s one of the most important days of our lives and we come to your rescue on your D-Day to share some handy makeup tips on how to prep up your skin for your wedding day. 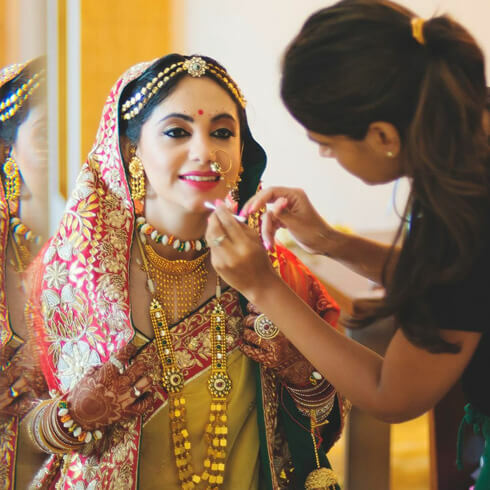 A bride should always look glowing and at her best, with the makeup tips provided below we solve this problem of yours. Let’s dodge right in! Just like your skin needs care your hair needs pampering too. 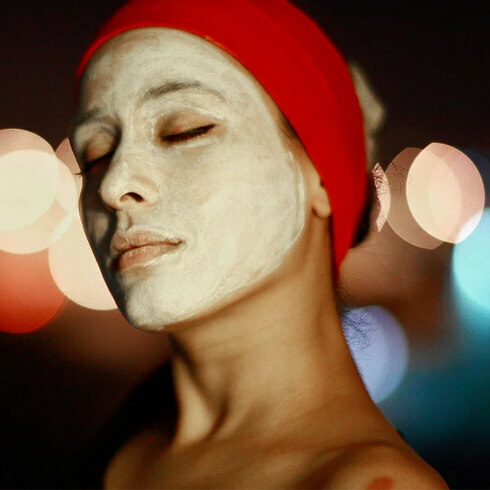 Make a honey and curd mask and apply it on your hair for deep conditioning. 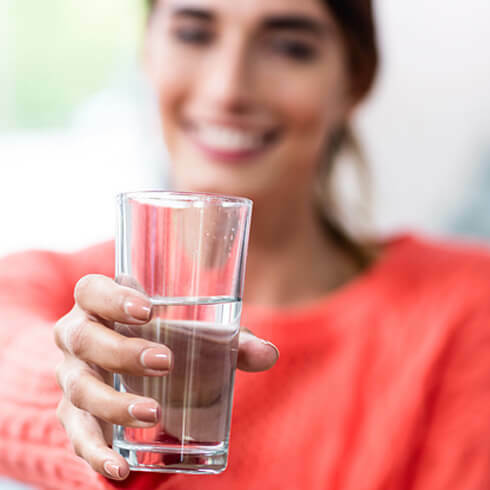 You must have heard people say that drinking enough water helps a lot. Well it’s true. 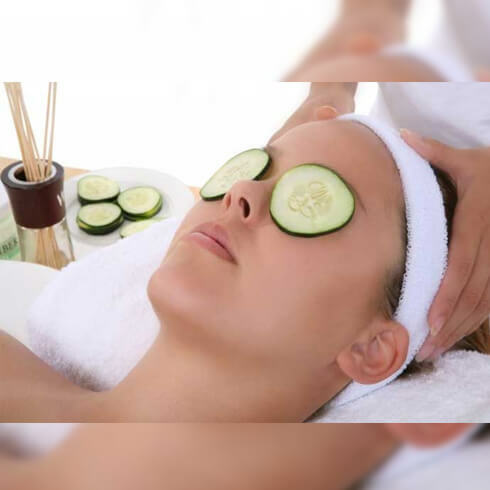 Having sufficient water does make your skin glow and makes it healthy. 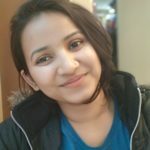 Apply potato juice for dark circles rather than any night cream in order to avoid unwanted reactions. Changing your makeup regime before your big day is a strict no-no. 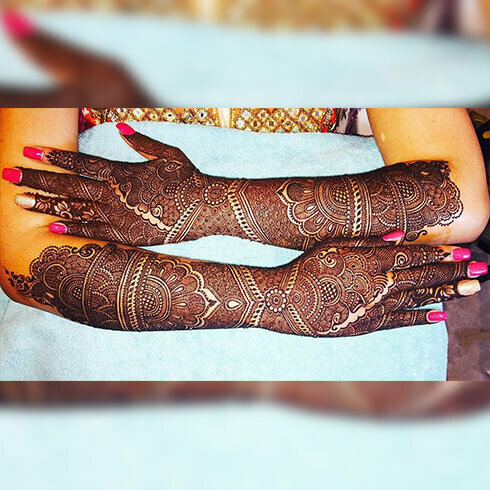 Your skin is habitual of the process and changing it before your wedding will only make things worse. 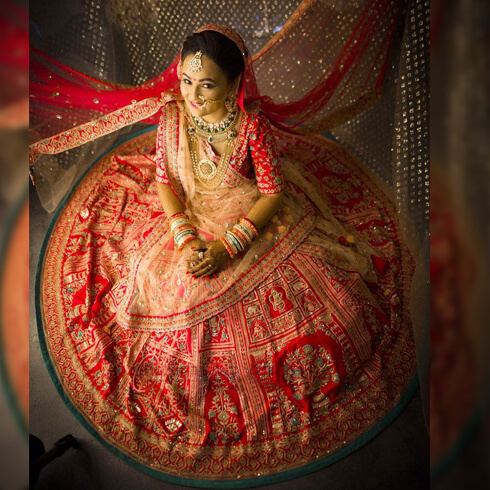 Bridal designs are usually full covered and heavy as they enhance the look of the bride. 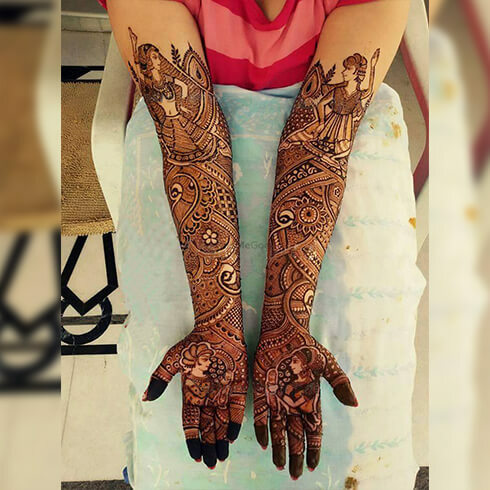 Try Marwari bridal designs as they are complex and fully covered and look hauntingly beautiful when traced on hands and feet. We’re sure you’ll love the outcome. Take multiple sessions for makeup as well as hairstyles and then stick with the best ones. 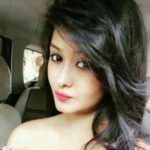 You can show your stylist pictures of the kind of hairstyle and makeup that you want and which you don’t want as well so as to avoid making a blunder at the last moment. Read: 70+ Fabulous Pre-Wedding Shoot Ideas for Every Kind Of Couple! While choosing the makeup keep in mind your theme. It should always match. 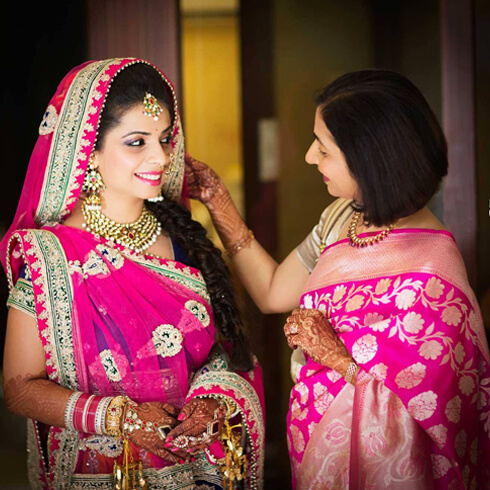 For instance, your makeup shouldn’t be too subtle in comparison to the theme of your wedding. Testing your make up in bright light is the most important task. Since your wedding would be a huge affair it’ll have many lights which also have an impression of you having fair skin. So chose your makeup keeping this in mind. Don’t play smart and experiment before your big day. A bad experiment can leave you lamenting for the rest of your life and your greatest day might end up being the worst. Rub ice cubes all over your face when you are done cleaning up. The rubbing of ice cubes helps to close your pores and thus avoids being home to dead skin and pimples.